Flatland is a fascinating nineteenth century work - an utterly unique combination of multi-plane geometry, social satire and whimsy. Although its original publication went largely unnoticed, the discoveries of later physicists brought it new recognition and respect, and its popularity since has justly never waned. 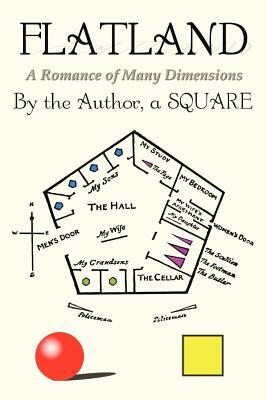 It remains a charming and entertaining read, and a brilliant introduction to the concept of dimensions beyond those we can perceive. This is a reworking of the expanded 2nd edition of 1884, with particularly large, clear text, and all the original author's illustrations.